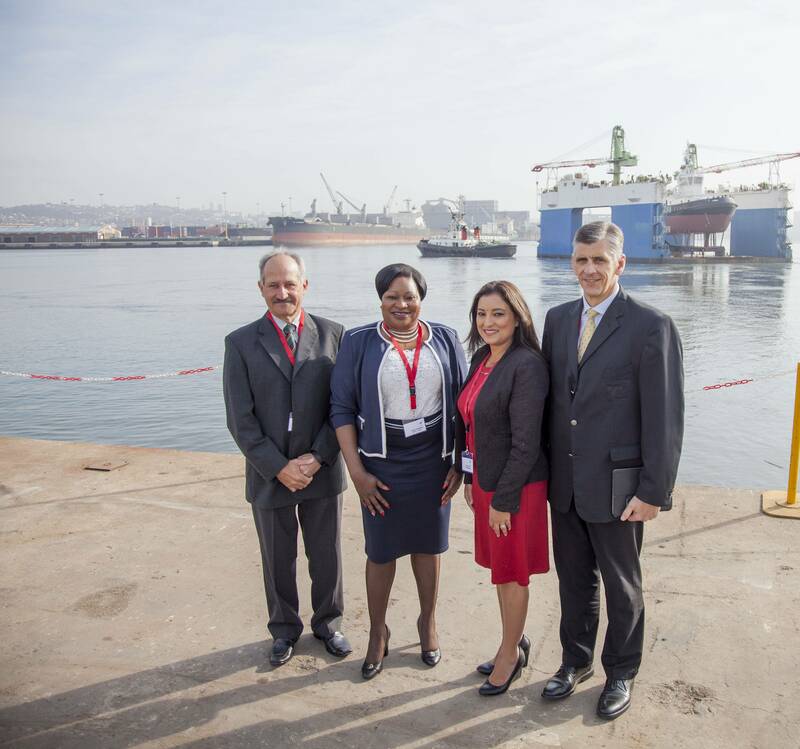 Transnet National Ports Authority (TNPA) celebrated a twin milestone for its KwaZulu-Natal ports as part of its R1.4 billion ($106.3 million), nine-tug construction contract. 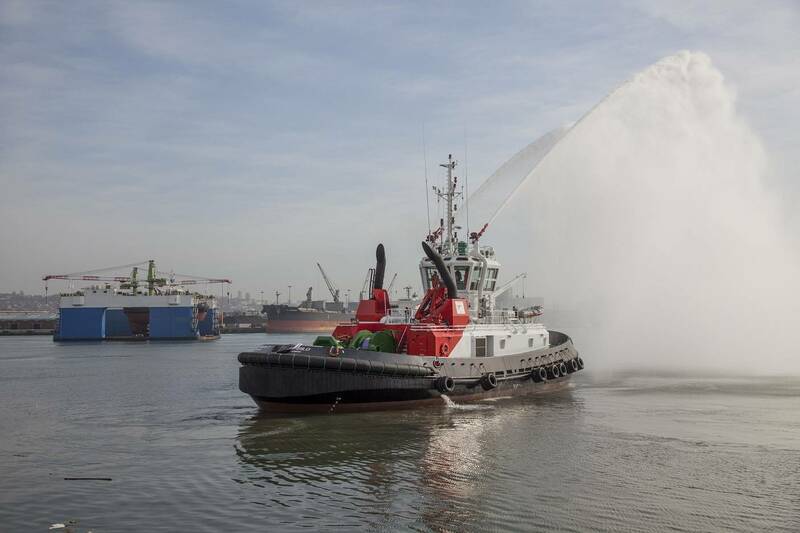 On Thursday, 22 August the new USIBA tug was christened and named ahead of its delivery to the Port of Richards Bay, while the Port of Durban took delivery of its Umbilo tug which had been launched and named in May. The vessels are the sixth and seventh respectively to roll off the production line on time and within budget. 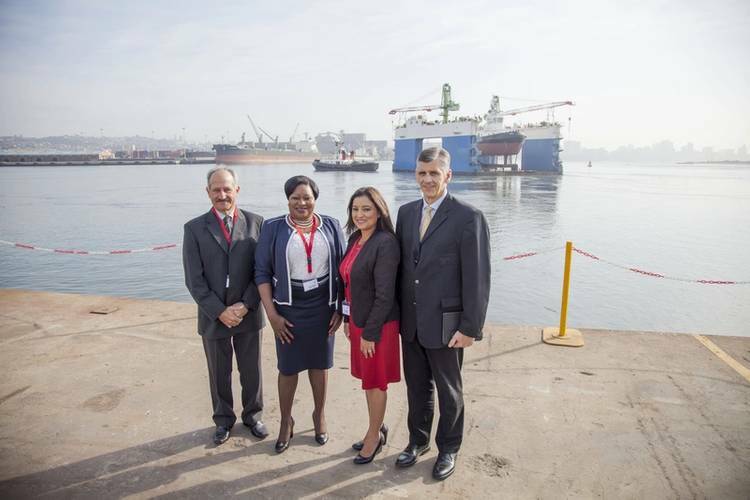 All nine tugs are being built by Southern African Shipyards in Durban. The name Usiba is derived from the isiZulu word for the Black-crowned Night-Heron, but can also refer to a feather. 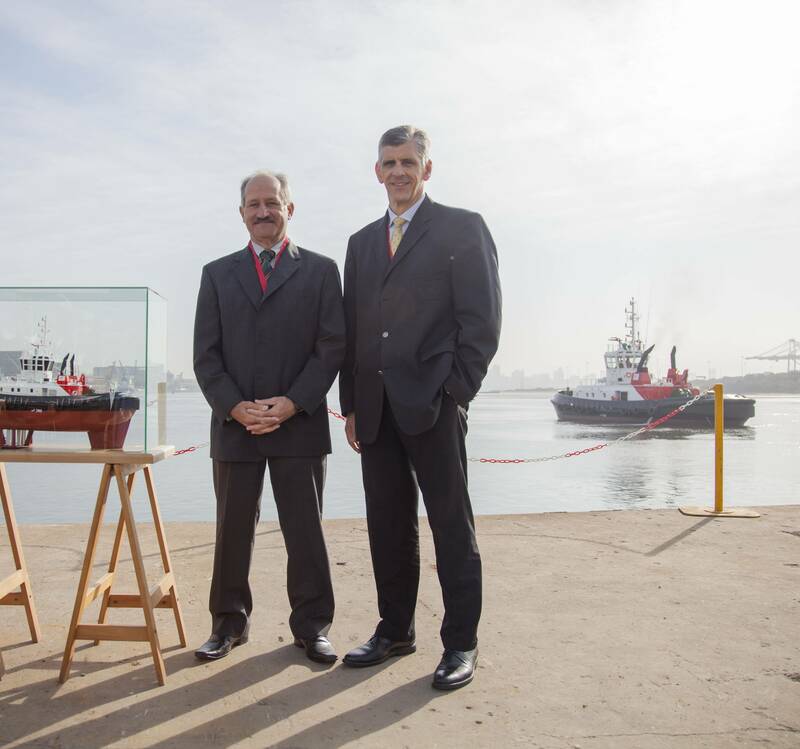 The Port of Richards Bay has a tradition of naming its marine fleet after treasured South African birds, such as the Ukhozi tug (eagle) and the older Indwe (blue crane). 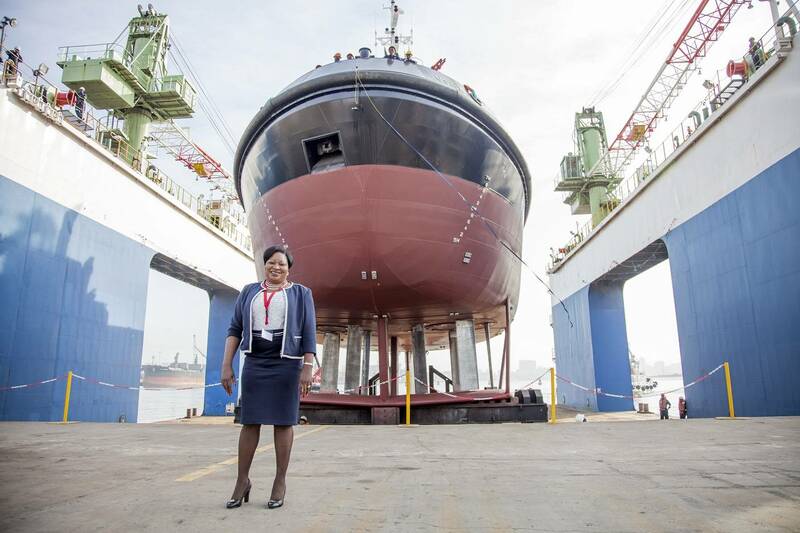 The ceremonial duty of christening the vessel was carried out by Lady Sponsor, Judith Nzimande. Nzimande is presently the President of the Zululand Chamber of Commerce and Industry. She also sits on the Executive Committee of Richards Bay Coal Terminal, one of the leading coal export terminals in the world based at TNPA’s top port in terms of cargo volumes, the Port of Richards Bay. Speaking at the event, TNPA General Manager: Strategy, Nico Walters, said the latest milestones followed TNPA and Southern African Shipyards’ joint win of the Partnership Award in the Manufacturing category of the 2017 KZN Top Business Awards, powered by the Elan Property Group. 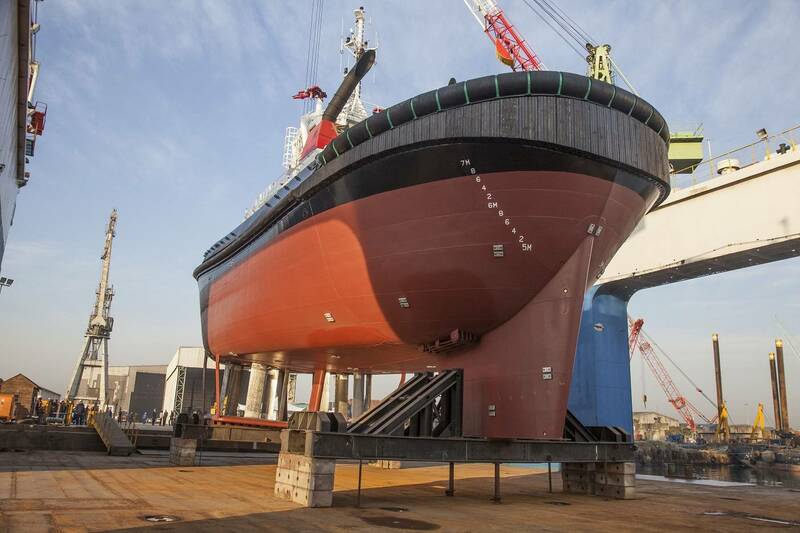 “TNPA and Southern African Shipyards clinched the award for this project, which the awards panel recognized as demonstrating our commitment to developing South Africans, and ultimately strengthening the nation through shipbuilding and repair services. The panel deemed this operation exceptional in respect of transparency and timeous delivery,” he said. Through the project TNPA and SAS have created 500 direct and 3,500 indirect jobs with a minimum of 60 percent locally manufactured components. Subcontractors involved on the project include international subcontractors with local operations such as Barloworld Equipment, Siemens and Voith Schneider, as well as local contractors such as Bradgary Marine Shopfitters. The nine tugs are being built for TNPA over three and a half years, as part of a wider fleet replacement program that also includes new dredging vessels and new marine aviation helicopters. The program is aimed at improving operational efficiency in the ports. Having new and a powerful tugs in its ports will better enable TNPA’s marine operations to speed up vessel turnaround times. Usiba will be handed over to the Port of Richards Bay in November 2017. 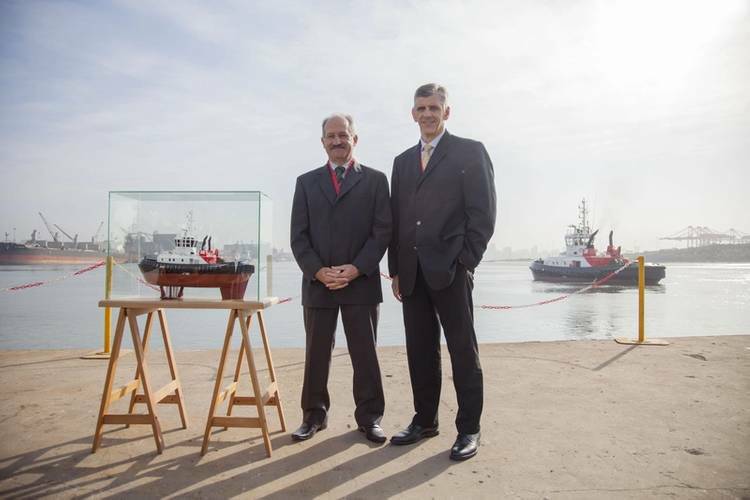 The eight tug is due to be delivered in February 2018 and the ninth and final tug in June 2018. TNPA’s new fleet of nine tugs are each 31 meters long with a 70 ton bollard pull. They feature the latest global technology such as Voith Schneider propulsion.